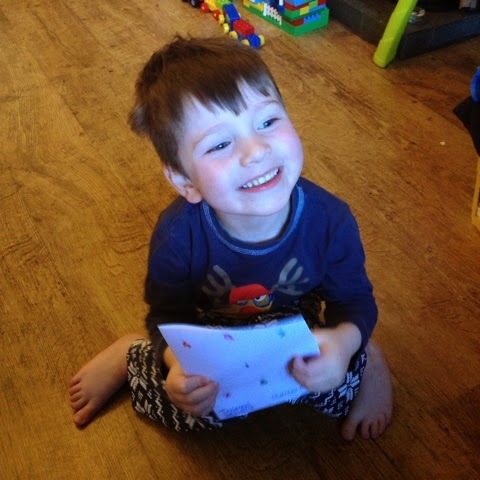 I'm sure that I've mentioned before that we are concentrating on numbers with T at the moment as he's doing pretty well with his alphabet and letters, but he's been struggling a bit with numbers. So, this was a really quick to set up activity, as long as you have some plain paper and some number stickers, you're done! 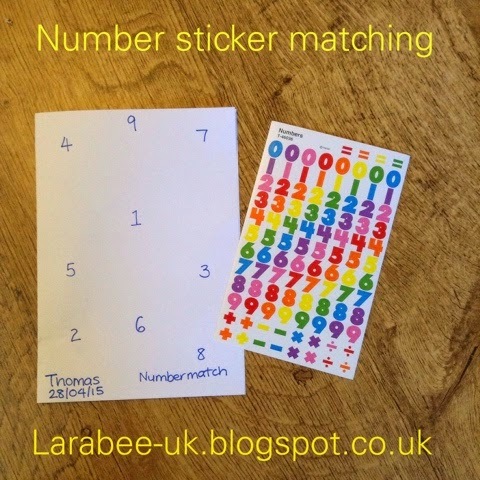 We used these number stickers again from our #Kidsstickerswap sponsor Sticker Stocker. 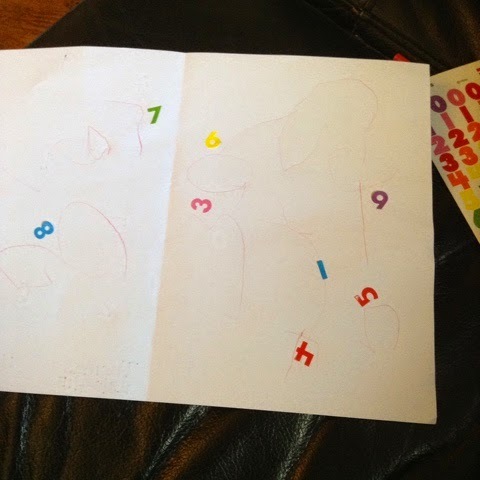 On a sheet of paper, I wrote the numbers 1-9 and handed T the sheet of stickers, asking him if he could find each number and place on top of the number on the paper, he managed to do this really well, only getting confused with 6 and 9 which is pretty understandable! We actually did this as a before bedtime activity to wind down and relax a bit instead of a game or TV. He was very proud that he managed to do them all! 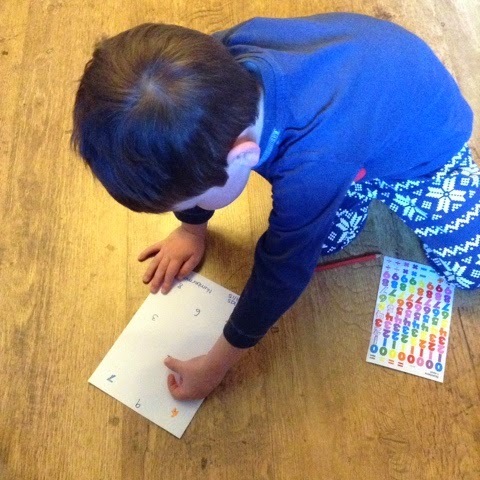 Since we did this activity he's really started to recognise numbers as numbers and not letters, I plan on doing this again later this month particularly him writing the numbers, I am also going to extend it by asking him to name the number before he can stick it on!